Temple Tour Yogyakarta : Which temple should you visit first? Temple Tour Yogyakarta : Are other temples interesting? Temple Tour Yogyakarta : What are the benefits of visiting temples? Yogyakarta is an area that is thick with cultural nuances. The city, until now is still the center of Javanese culture. The establishment of the ancient Mataram kingdom in the 8th century influenced many existing Javanese cultures that creates a worship places like a temple. The influence of Hindu culture can be seen in the remaining historical heritage sites in especially temple in the town. We will not discuss Borobudur which is located in Central Java Province. Although Borobudur Temple is very much associated with the Ancient Mataram kingdom. In ancient times, the power of the ancient kingdom included parts of Central Java and Yogyakarta. But in its history, through the Gianti agreement between the VOC and the rulers of Islamic Mataram, as well as the regulation of the self-governing region. In the days of the Dutch colonial government, Yogyakarta became a stand-alone region as a province. 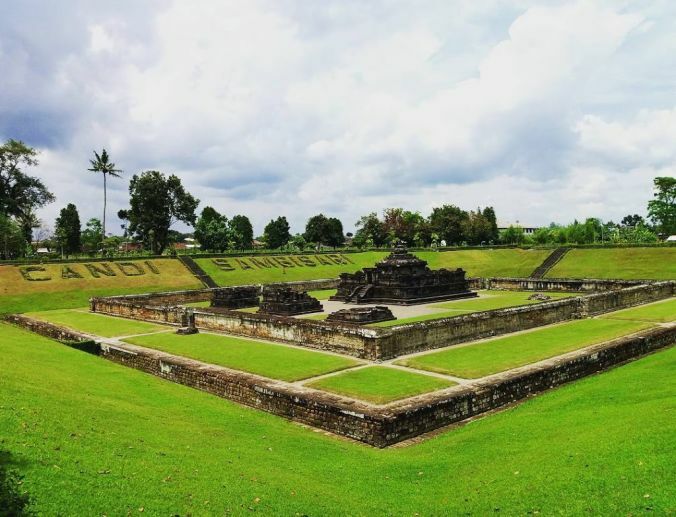 In Yogyakarta there are several temples which are the legacy of the ancient Mataram kingdom. Just name a few famous ones like Prambanan Temple, Ratu Boko Temple, Sambisari Temple, Ijo Temple, or some rarely heard such as Abang Temple, Barong Temple, Gebang Temple, Kalasan Temple, Sari Temple, Plaosan Temple and Banyunibo Temple. Almost all of these temples are Buddhist and Hindu. Because in the days of the ancient Mataram kingdom, Religion that existed at that time there were only Hindus and Buddhists. 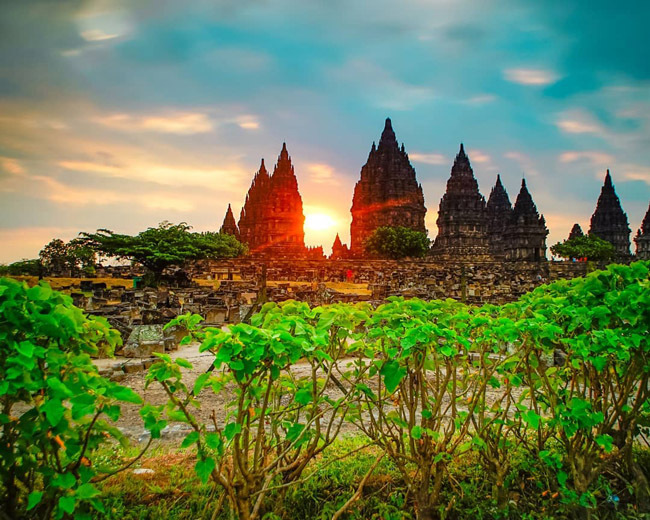 When you have a plan to visit Yogyakarta, you must visit Prambanan Temple first. This stunning temple was included as a world heritage site recognized by UNESCO. As a temple complex, Prambanan is very beautiful to pass up. When you visit there, you will see the Temple as a unit of several temples around the main temple. Of course, almost all of the temples in Yogyakarta are well managed by the cultural department, the ancient service and there is a professional limited liability company that specializes in managing Prambanan, Borobudur and Ratuboko temples. Another temple that is not less interesting is the Ratuboko temple complex. The great temple complex was once a palace of Ratu Boko as well as a place of worship. In this temple complex, there are several worship spots. 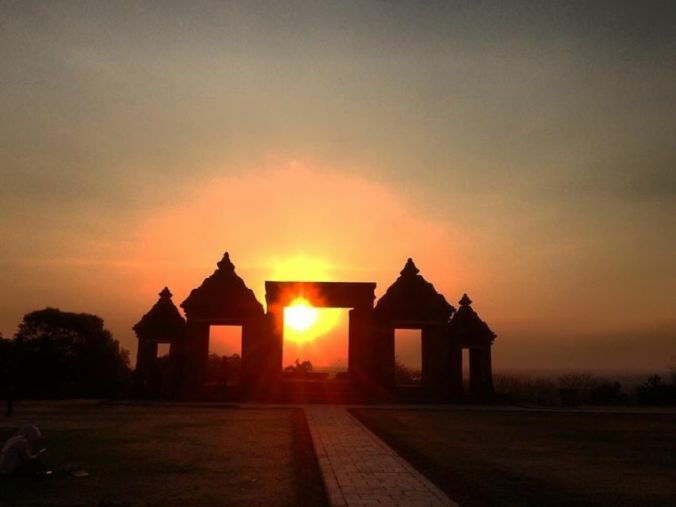 The cool thing about the complex is that you can enjoy the sunset from a height of about 190 meters above sea level with the background of the temple. The Sambisari Temple is equally beautiful, the temple which was once buried under the land, has a location structure and a very beautiful landscape. Green grass circled around the temple, making the contrast of colors very good to be used as a backdrop for shooting. Ijo Temple is also cool, the location of this temple is the highest among the temples in Yogyakarta. The height is approximately 390 meters above sea level. From there you can see the city landscape from a height. Green grass also stretched out around the complex, adding to the elegance of the temple. There are still many other temples that you can visit when you visit Yogyakarta. And fortunately for you, most of the temples are located in the eastern part of the town. So that you can visit one temple to the other temple without taking a lot of time. 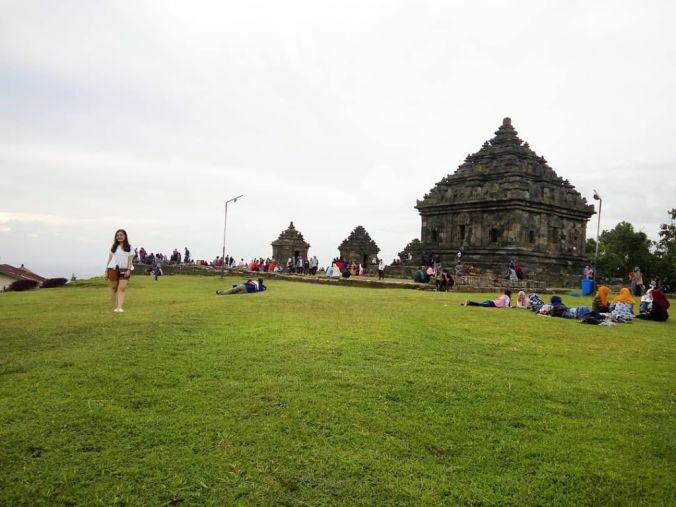 Temple Tour Yogyakarta : How to enjoying visit to temples? Even though there are some lesser-known temples and not many visitors, that’s where you can enjoy and appreciate your visit to the temple. For example, you go to Kalasan, Abang or Barong Temple, which is located close to Ratu Boko Temple, which has relatively few visitors. The temples are relics of the past, when you visit them, you must take care of the preservation of the temple by not doing things that can damage the temple. Do not scribble on the temple or damage it. By visiting the temple, you will be invited to absorb past life through the reliefs in the temple. 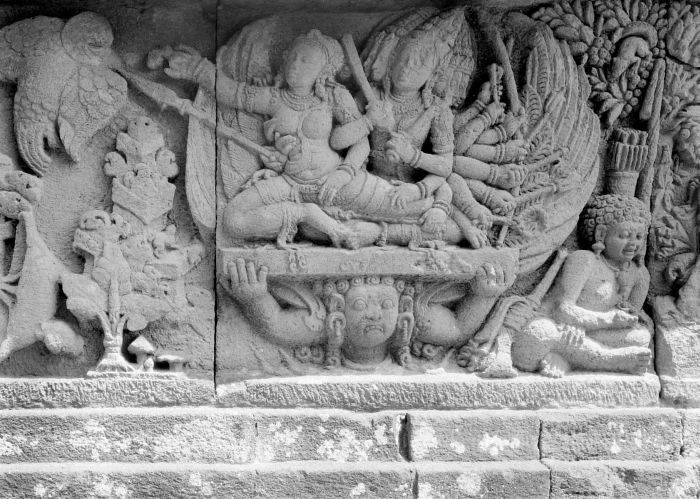 Some temples also provide signals or clues about philosophy of Lingga and Yoni as the main philosophies of life. Besides being a place of worship, temples also sometimes hold a mystical aura of the past that you can explore as an inner experience full of the meaning of life. If you are a person who likes culture, history and philosophy, you will be very happy to visit the city by visiting ancestral temples, where there are many life puzzles that you can solve through symbols embodied in form, layout and reliefs in the temple. Enjoy temple tours in Yogyakarta.